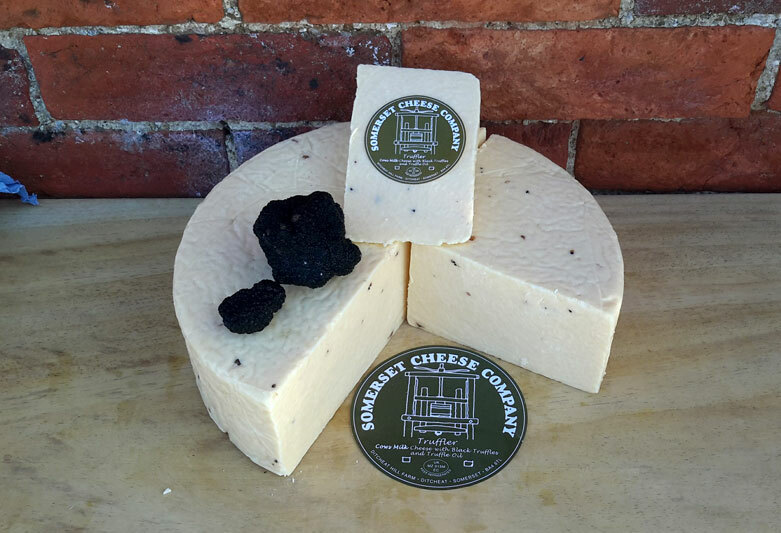 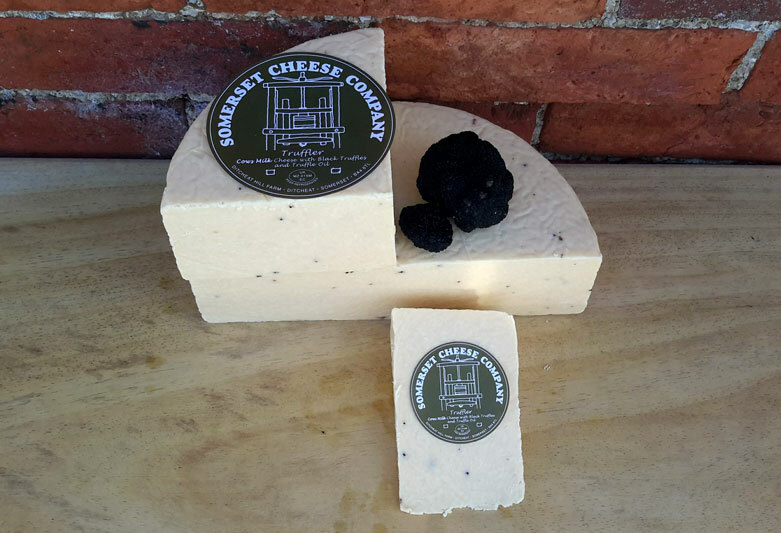 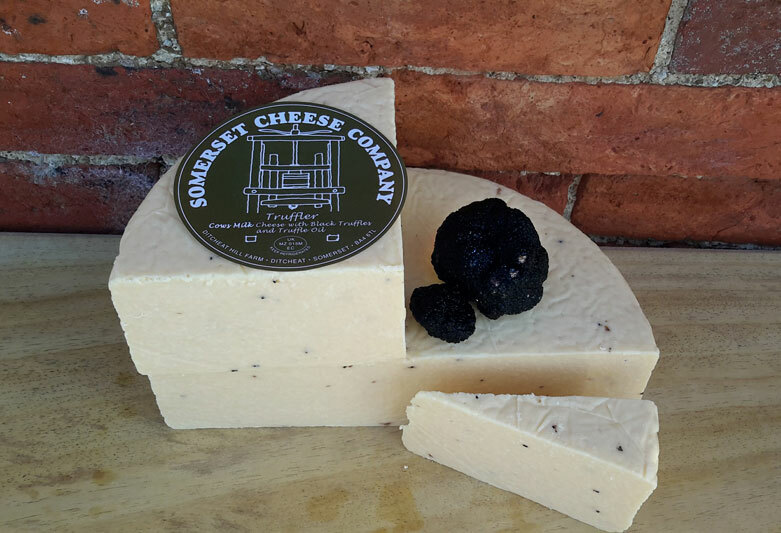 A mature, hard cows milk cheese with minced Black Truffles and a dash of Truffle Oil. The blend of flavours in Truffler creates a wonderful, indulgent treat. The distinctive taste of the mature cheese and the truffles complement each other perfectly to give an amazing, rich experience.